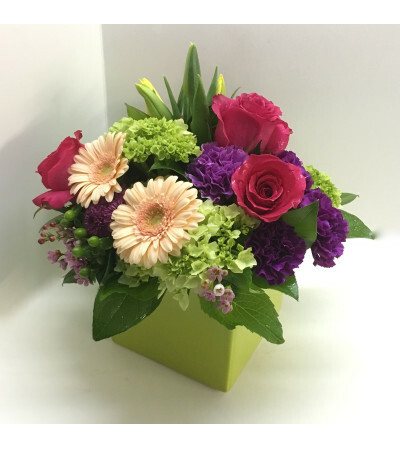 Pops of Pink flowers adorn this compact-cube arrangement - with flowers such as Gerbera Daisy, Tulips and hot pink Roses - all professionally designed in our green ceramic cube. 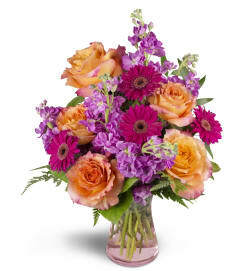 This is a Rothe Florists exclusive design - a great choice for a multitude of occasions. 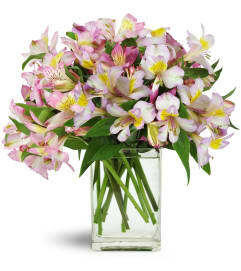 NOTE: flower varieties may vary depending on the season.